Indie Retro News: WinUAE 3.3.0 Beta 9 - The latest Amiga emulator release, but with improved performance? WinUAE 3.3.0 Beta 9 - The latest Amiga emulator release, but with improved performance? 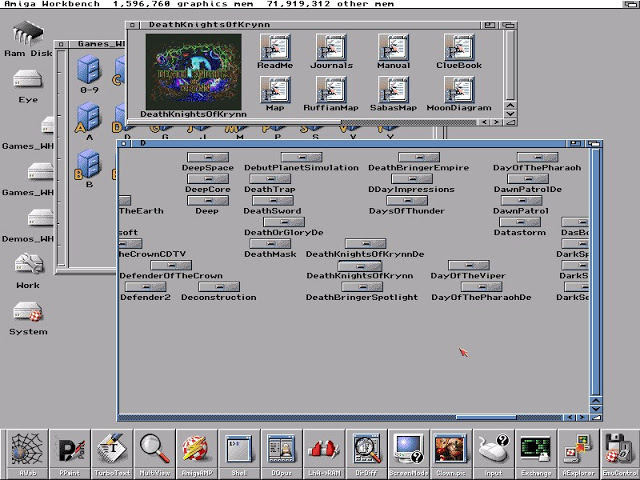 I was starting to wonder when we'd see another Amiga emulator beta release from Toni Wilen and sure enough just yesterday, he released ' WinUAE 3.3.0 Beta 9 '. Although this isn't a big update in the grand scheme of things, it does have one interesting feature and that is OS4.x UAE trap mode using hybrid busy wait mode, which according to Toni improves performance. One such user by the name of Aegis has already tried it and noted a 8 frame rate increase in Quake. So head on over to the download link, and let us know if it does the same on your system! - 32M UAE RTG board was always address space aligned. It is wrong in UAE mapping mode. - Only swallow hardware horizontal and vertical mouse movement when in mouse driver mode, not mouse wheel. - Added hardfile virtual bad block support. uaehf.device and hardware SCSI emulation only. Create geometry text file (<name of hardfile.hdf>.geo) in same directory as hardfile, add badblocks=<blocks> line. (<blocks> can be range, 10-100 or single value or multiple ranges/values, for example 10-100,200,1000-20000) Max 8 bad block values/ranges supported. Error is returned if block in badblock range is attempted to be read or written. - OS4.x UAE trap mode now uses hybrid busy wait mode. Performance has improved again, directory filesystem speed is now fully usable and uaegfx is also noticeably faster. - UAE indirect trap stability updates.